Gardening Partners has been invited to provide Composting Instruction at Dickson Recycles this Sunday. Gayle Mitchell will be volunteering to share her knowledge and promote gardening. Our mission is to deliver quality gardening education to the community so this event is a great opportunity. 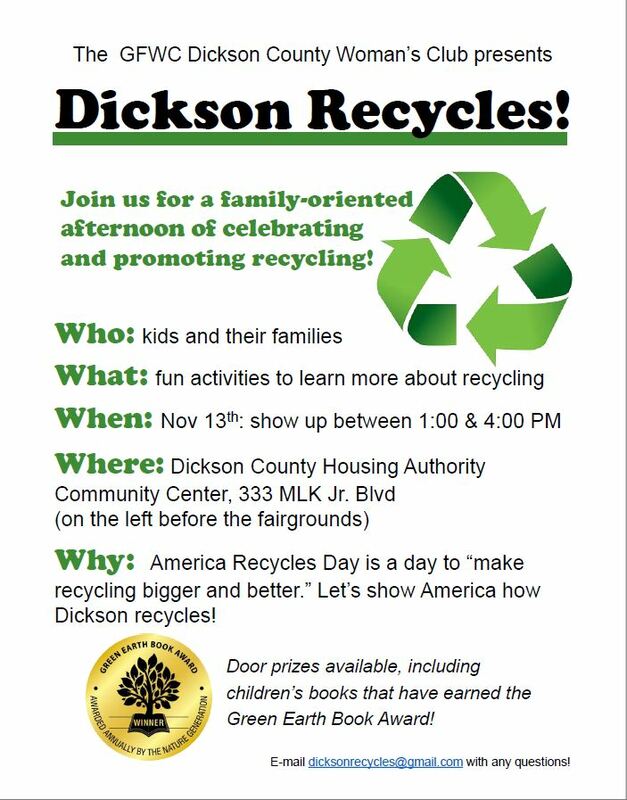 So come on out and support Dickson Recycles, Gardening Partners, and our own Gayle Mitchell. Categories: Uncategorized | Tags: Compost, dickson recycles, Gayle Mitchell, Housing Authority, Tara | Permalink.